Snails have eyes on the tips of their tentacles. In the case of the Pulmonates [lung breathers] who have two pairs of tentacles, the eyes sit at the tip of the top pair. 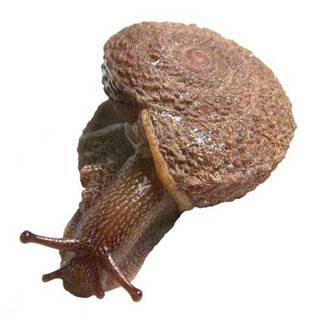 Snails have very poor vision. Even though they have a lens on their eye, they have no muscles to focus the images. They can sense light and dark and work out where the light source is. They cannot see colour.